1. Steam the asparagus for three to five minutes, depending on how thick the stalks are. It should be tender but still have some bite. Rinse with cold water, and drain for a minute on a kitchen towel. Cut into 1-inch lengths. 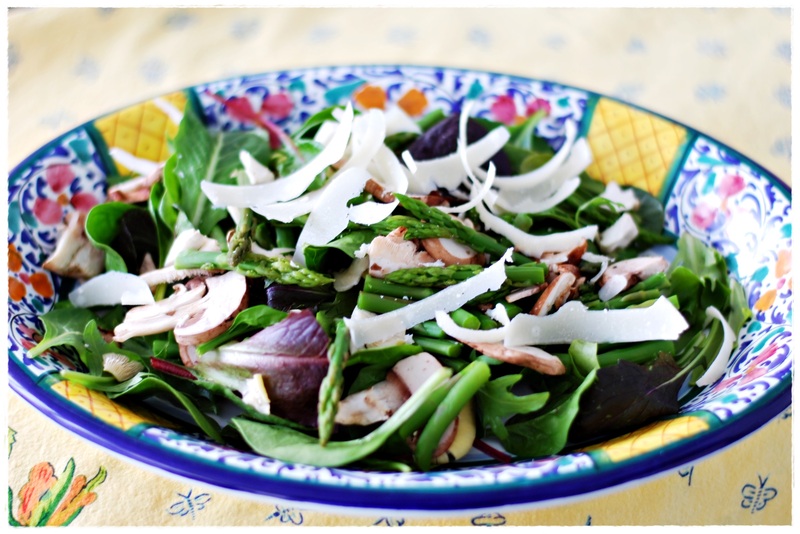 Place in a salad bowl, and toss with the mushrooms, herbs and arugula. 2. Whisk together the lemon juice, salt and pepper, garlic and olive oil. Toss with the asparagus mixture and the slivered Parmesan, and serve.